Heart valve disease occurs if one or more of a patient’s heart valves don’t work the way they should. The human heart has four valves: the tricuspid, pulmonary, mitral, and aortic valves. These four valves have tissue flaps that open and close every time the heart beats. The flaps ensure that blood flows in the right direction via the heart’s four chambers and to the rest of the body. Discomfort in the chest – An individual may feel pressure or weight on their chest when doing physical activities or when exposed to cold air. Palpitations – Palpitations refer to a rapid heart rhythm. It can also include feeling a “flip-flop” sensation in your chest, an irregular heartbeat, or skipped beats. Rapid weight gain – A patient may experience a weight gain of about two or three pounds in a day. Shortness of breath and/or difficulty catching your breath – Usually occurs when a person is active, such as doing normal daily activities, or when lying down in bed. Sleeping propped up on several pillows may make it easier to breathe. Swelling of the abdomen, ankles, or feet– This swelling is called an edema. Swelling in the belly may cause a bloated sensation. Weakness/dizziness – You may feel too weak to do normal daily activities. Dizziness may also occur. Some patients may also pass out. Symptoms do not always indicate the seriousness of a specific valve disease. Patients don’t always experience symptoms, even if they have severe valve disease. Atrial fibrillation – May occur in four out of ten cases of heart valve disease. This refers to when the heart beats in a fast and irregular way. Endocarditis – This is an infection of the valve. If endocarditis is left untreated, it may cause serious illness. 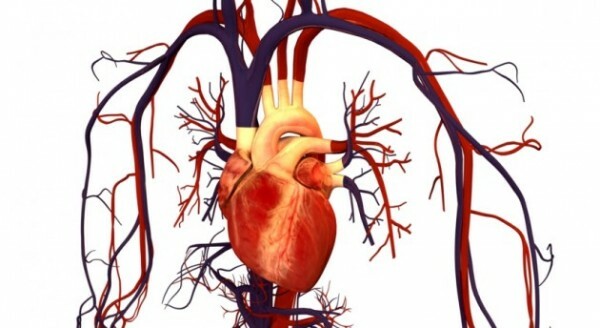 Heart failure – Once a patient develops heart failure, the condition can worsen. Stroke – A blood clot may form within the enlarged left atrium that can’t empty properly into the ventricle with each heartbeat. Green tea – Green tea contains the antioxidant epigallocatechin gallate (EGCG) which can protect the heart. Magnesium and potassium – Magnesium supplements can reduce blood pressure and is good for overall heart function and heart disease. Meanwhile, potassium can boost heart function and help minimize blood pressure due to a high-salt diet. Omega-3 fatty acids – Omega-3 fatty acids are essential nutrients that can help minimize inflammation due to atherosclerosis. They can also lower triglyceride levels, the fatty blood components that block the arteries. Sources include fatty fish like salmon and tuna. Pomegranate – This fruit has antioxidant chemicals that can help reverse atherosclerosis and lower blood pressure. Treatment for heart valve disease usually depends on the type and severity of the valve disease. Treatment for the condition has three goals: protecting the valve from further damage, controlling symptoms, and repairing/replacing valves. ACE inhibitors – A type of vasodilator that is used to treat high blood pressure and heart failure. Antiarrhythmic medications – Controls the heart’s rhythm. Anticoagulants/blood thinners – Prolongs the clotting time of blood, especially if you are at risk of developing blood clots in the heart valve. Beta-blockers – Used to treat high blood pressure and ease the burden on the heart by helping it beat slower and less forcefully. Diuretic/”water pills”– Helps remove extra fluid from the tissues and bloodstream. Diuretics can also lessen the symptoms of heart failure. Vasodilators – Lessens the heart’s work. Vasodilators also encourage blood to flow in a forward direction, instead of flowing backward through a leaky valve. Health professionals may run some diagnostic tests to determine the location, type, and extent of your valve disease. The results of these tests will help decide what type of procedure you require. Surgical options include heart valve repair or replacement. Valves can be repaired or replaced with traditional heart valve surgery or a less invasive heart valve surgical procedure. Heart valves can also be repaired by other procedures like a percutaneous balloon valvotomy. Side effects of the disease may include discomfort in the chest, palpitations, rapid weight gain, and weakness. Risk factors for heart valve disease may include being born with heart valve issues, intravenous drug use, and older age. Heart valve disease may cause complications like atrial fibrillation, endocarditis, heart failure, or stroke. Green tea, magnesium and potassium, omega-3 fatty acids, and pomegranates can help prevent heart valve disease. Patients may be prescribed medications to treat symptoms and lower the risk of further valve damage. Individuals can stop taking certain medications after undergoing valve surgery to correct the problem. Other medications must be taken for the rest of your life.